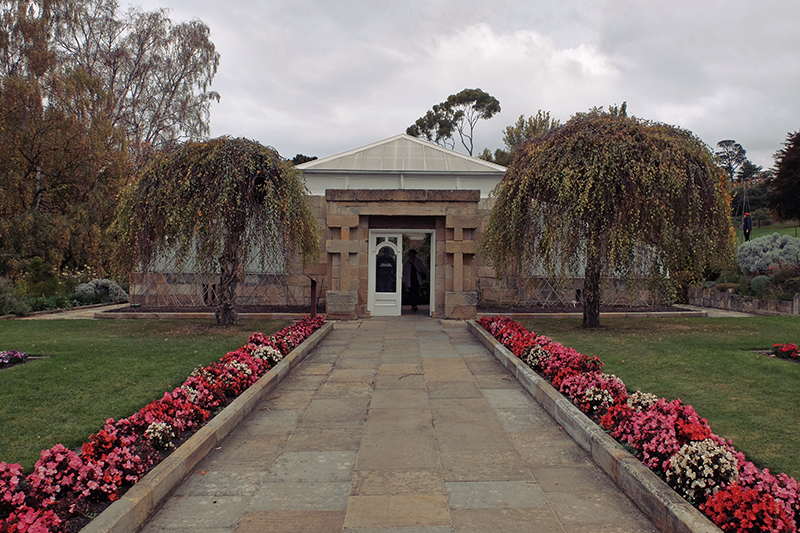 The Royal Tasmanian Botanic Gardens are located in the Queens Domain region on the northern edge of Hobart. 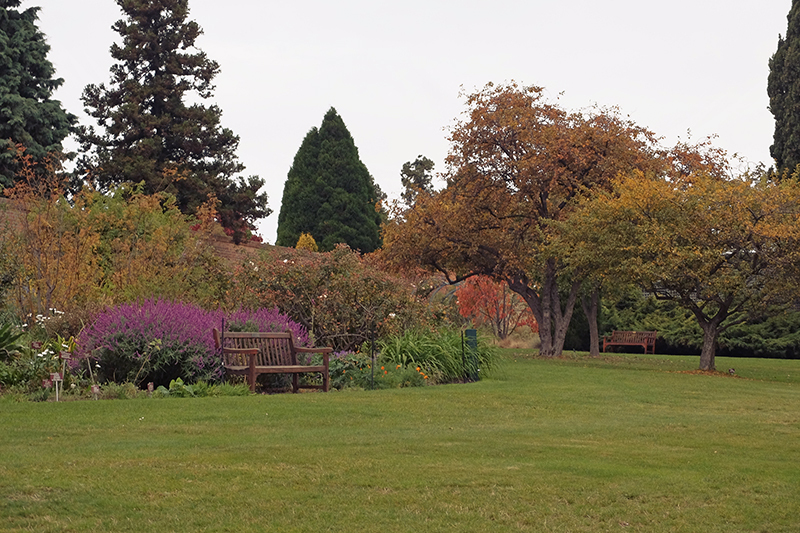 Queen’s Domain is a short walk from the CBD and an even shorter drive if you’re lazy. I’d highly recommend taking a stroll through the Soldiers Memorial Avenue on the way as it’s one of the most poignant and fitting memorials to fallen soldiers I’ve ever seen. I’m not Australian but even I got a little emotional when walking through the avenue and seeing the touching sentiment and care given to those who died fighting for their country. 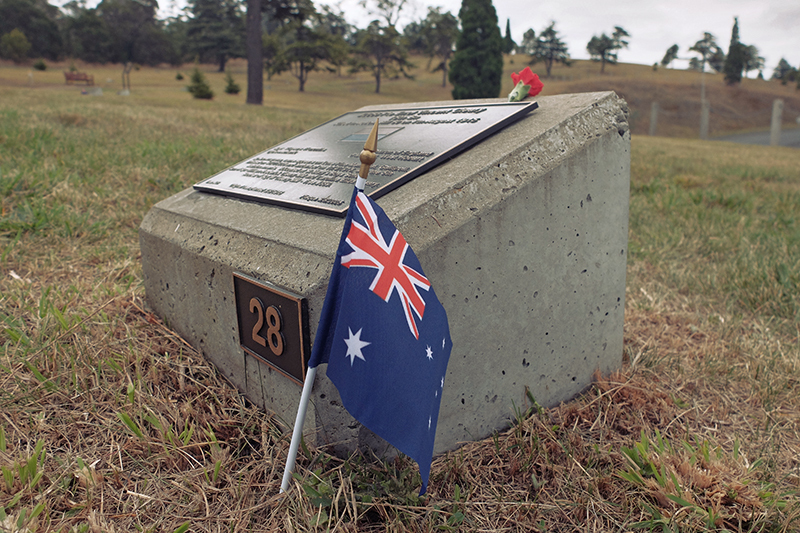 It was just before Anzac Day when I visited the area and each of the memorial plinths had a small Australian flag and poppy or similar flower resting on them which was really nice to see. 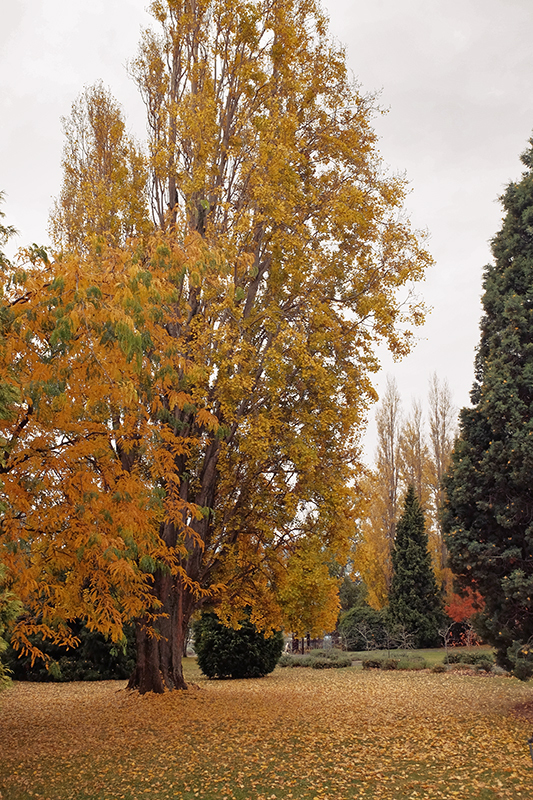 It took me a little while to realise that all the trees in the park represent the life of a solider who died. They were planted around 1918 after the end of WW1 and those that have survived have grown rather tall and harbour all sorts of life which I guess was the intention when they were planted, new life and rebirth from such tragic deaths. 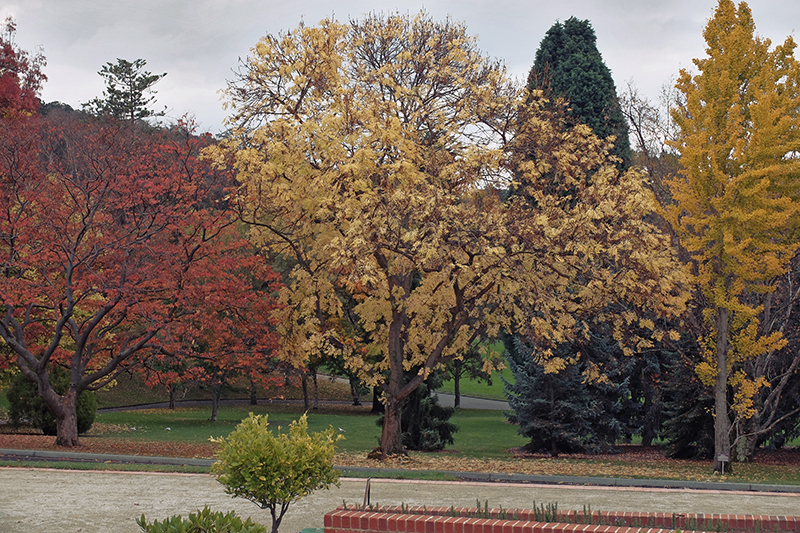 The Royal Tasmanian Botanic Gardens or RTBG as I’ll call them going forward are located about halfway through the avenue next to the Tasman Bridge on the River Derwent. I hadn’t looked up anything about them before I arrived as I always like to explore new places with a fresh mindset and without knowing what to expect. I find that’s the best way to experience things as you don’t know what you’re going to see and can just enjoy your time without having to see that particular exhibit or that specific point of interest. I’m not a gardener by any stretch of the imagination but I can certainly appreciate the beautiful creations that have evolved in nature and the species on display in these gardens are quite wonderful indeed. 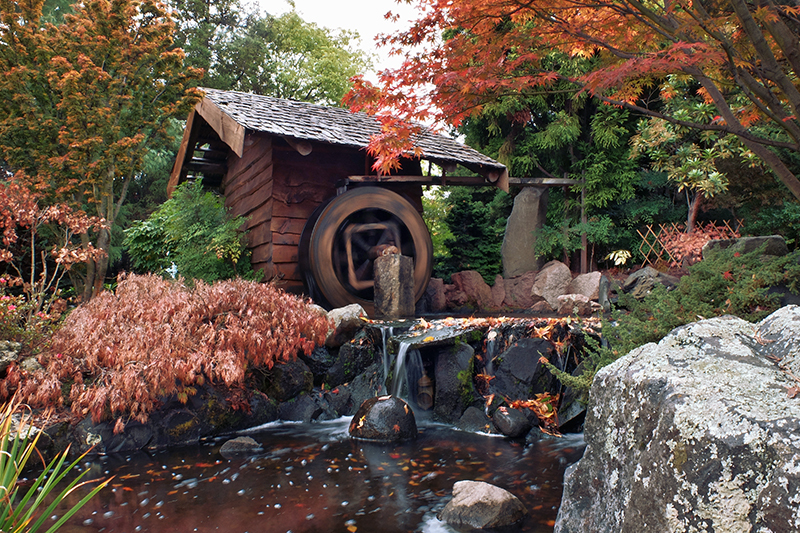 There’s something for everyone whether you love exotic flowers and plants or prefer to see large trees and local species. 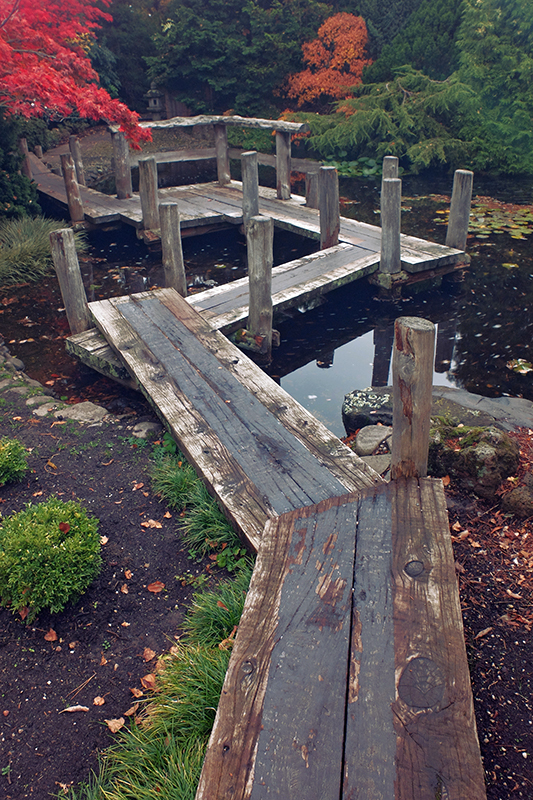 My personal highlight was the Japanese Gardens which are exceptional in this instance. The sense of calm and serenity within them is just magical, I could happily sit there for days. 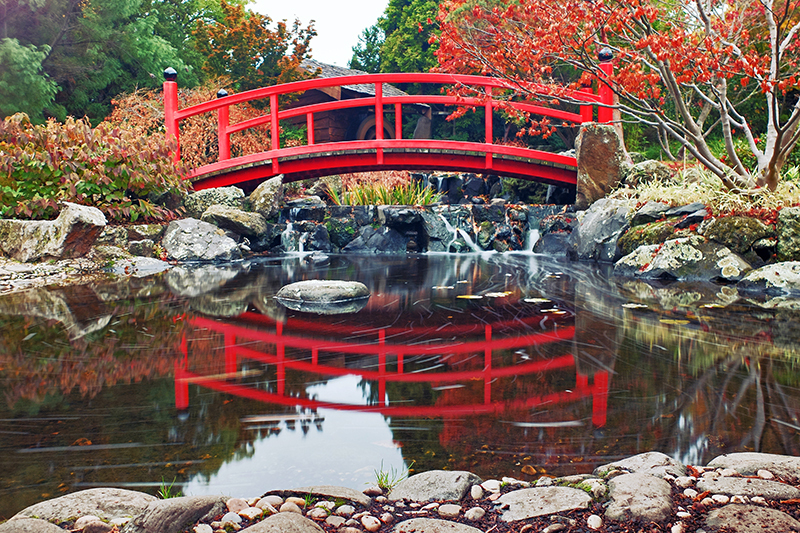 It’s not so much about the plants on display as the water features and man-made features like the red bridge which takes pride of place in all Japanese gardens and the delicate pathway constructed over a small pond which just begs to be crossed. 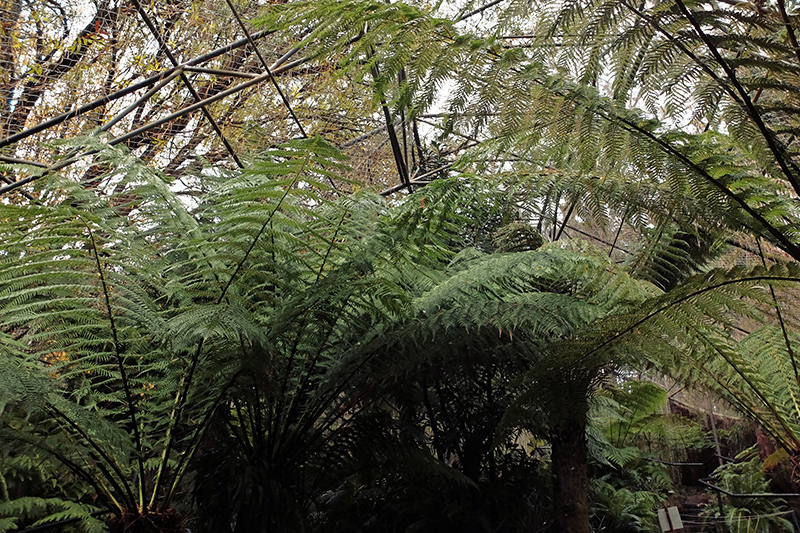 Elsewhere there’s a Subantarctic Plant House which is chilled to a noticeably chilly 7.5 degrees which you really feel upon your exit. 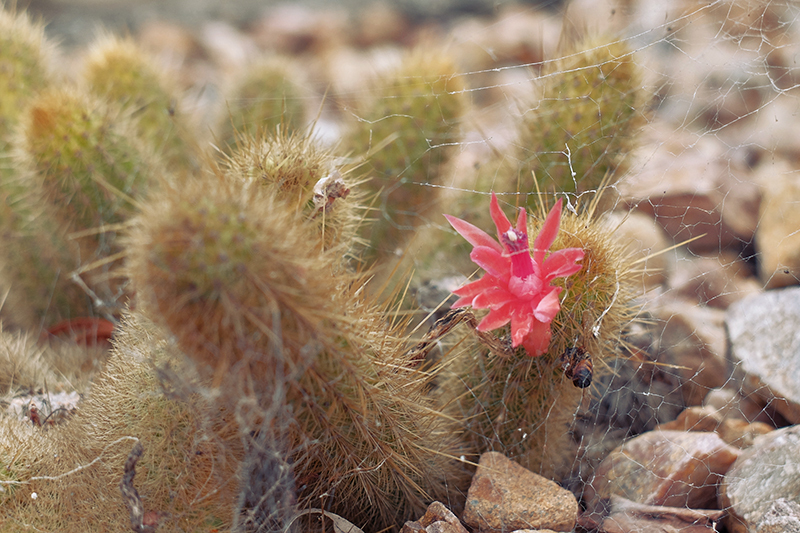 The plants within aren’t the most exciting to look at but it’s fascinating to know that these species can survive in some of the most inhospitable places on the planet making them rare assets which need to be preserved. 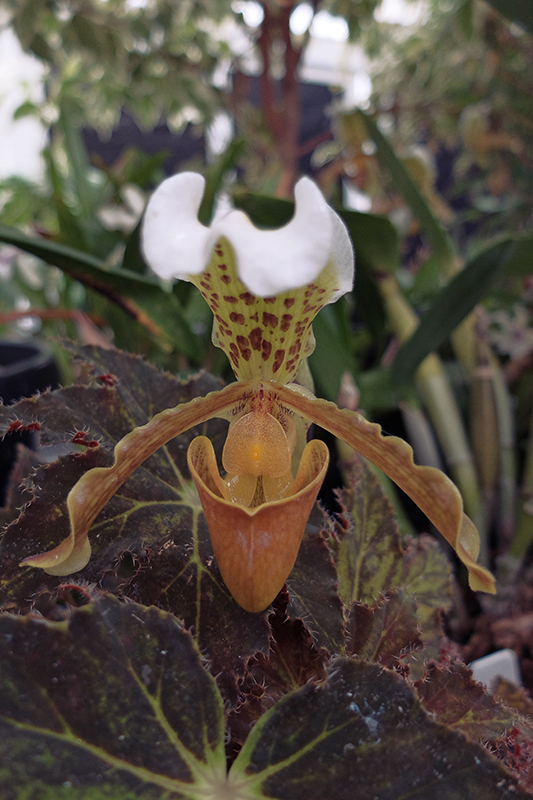 Botanic Gardens, like their Zoological counterparts are becoming more important than ever as man’s influence on our planet is damaging ecosystems beyond repair and pushing species of both plants and animals towards extinction. 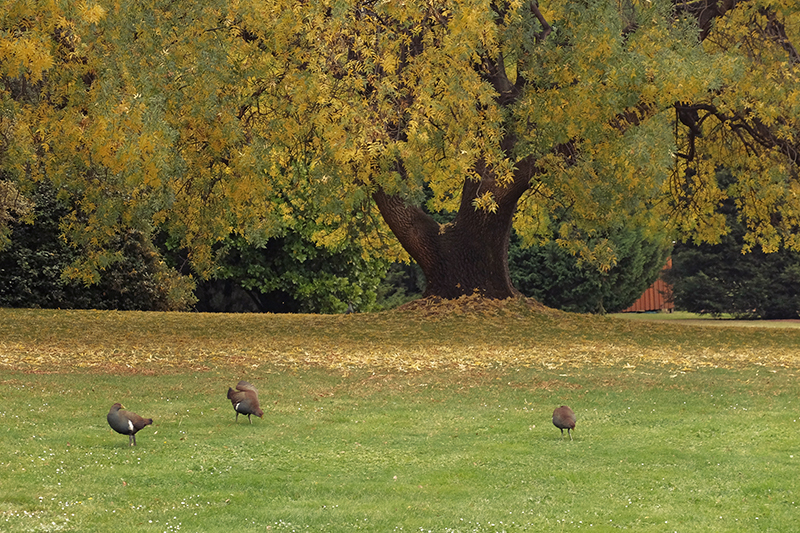 It’s great that we can come to places like the RTBG and experience that natural wonders that are out there. Of course that doesn’t mean people shouldn’t explore Tasmania’s picturesque landscapes and witness these delights for themselves in the wild. 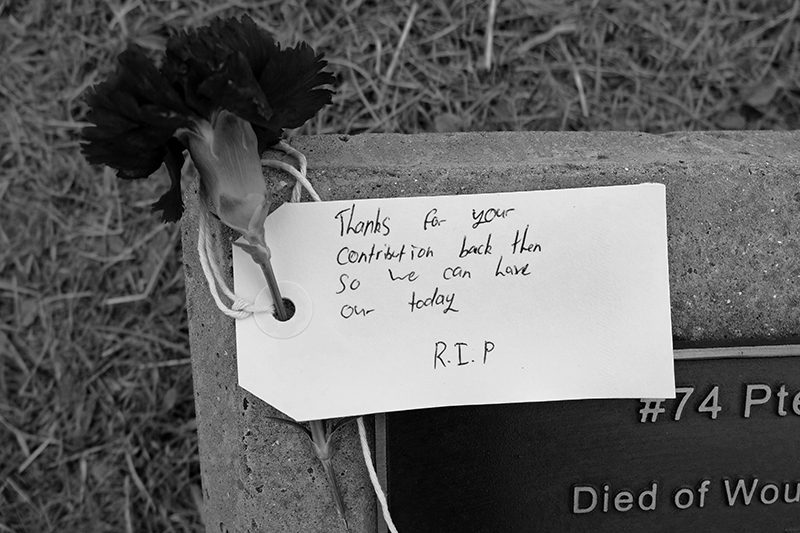 A touching tribute on one of the memorial plinths. 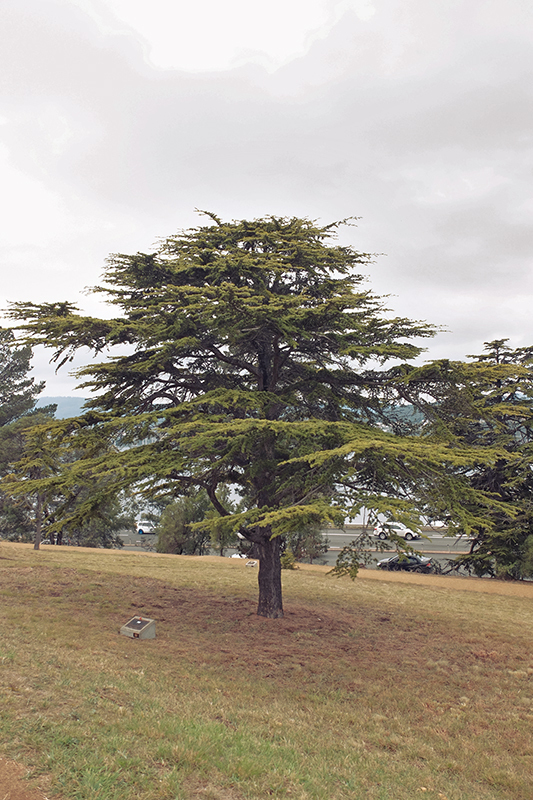 The original trees were planted in 1918 and those that survived have grown to impressive size. 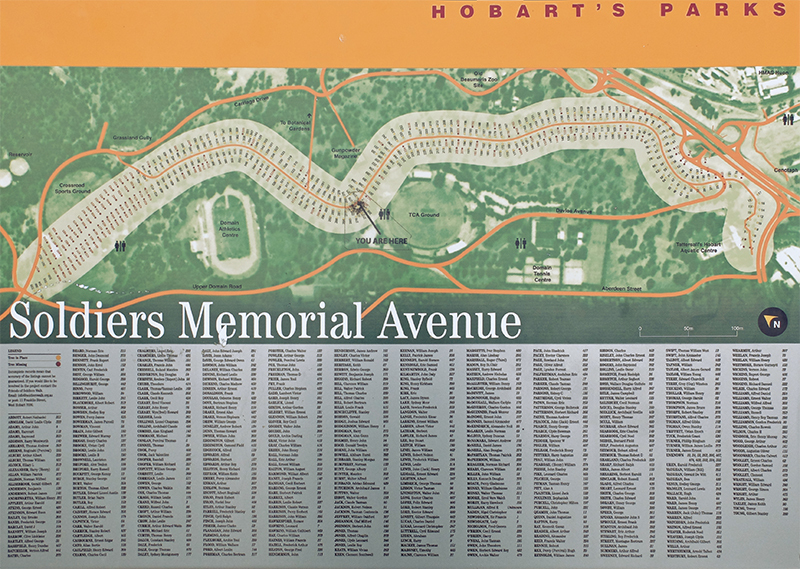 The map of Soldiers Memorial Avenue giving some sense of the scale of this fitting tribute. 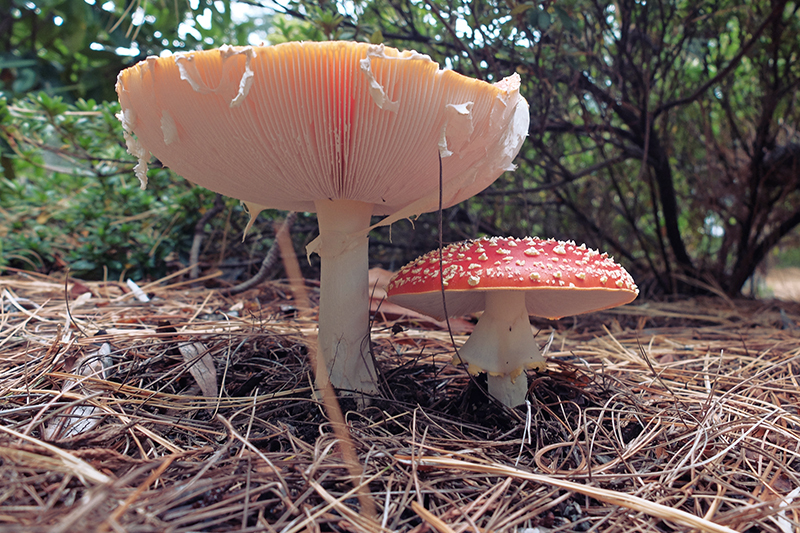 Mature Fly Amanita Mushrooms at the entrance to the Botanic Gardens. I hadn’t even gone in yet and the flora on display was impressive. 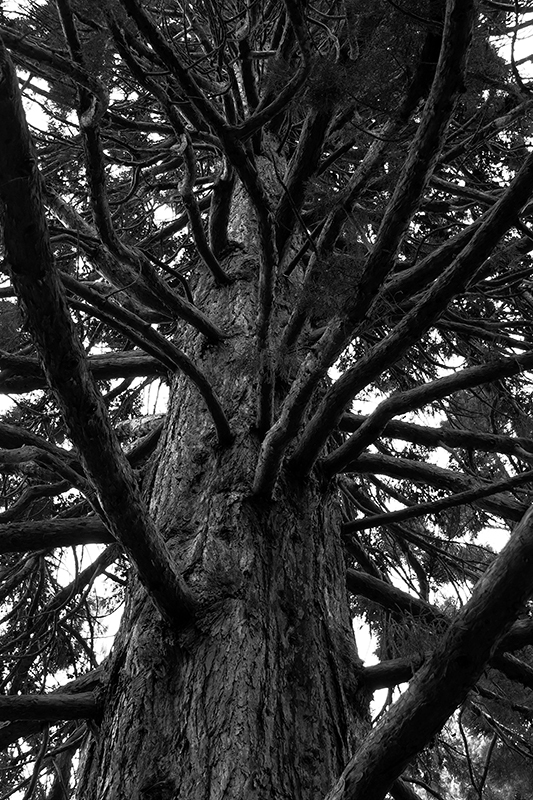 A Giant Sequoia towers over the entranceway to the Botanic Gardens and is the tallest tree in the park. 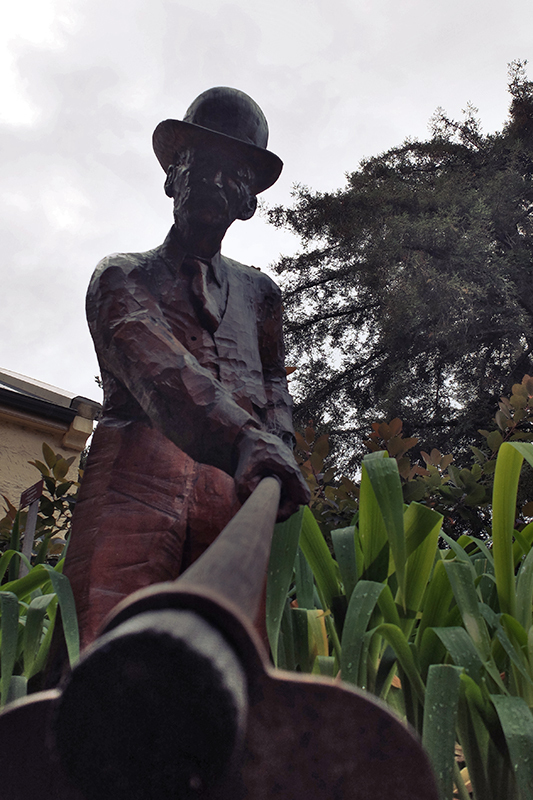 A quaint bronze statue of a gardener near the main entrance. 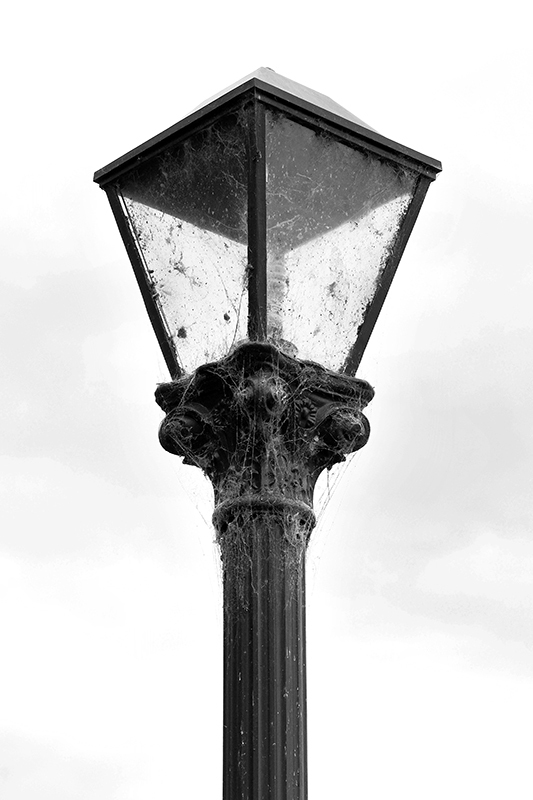 A cobweb covered lamp that seems somewhat overlooked in an otherwise immaculately kept garden. 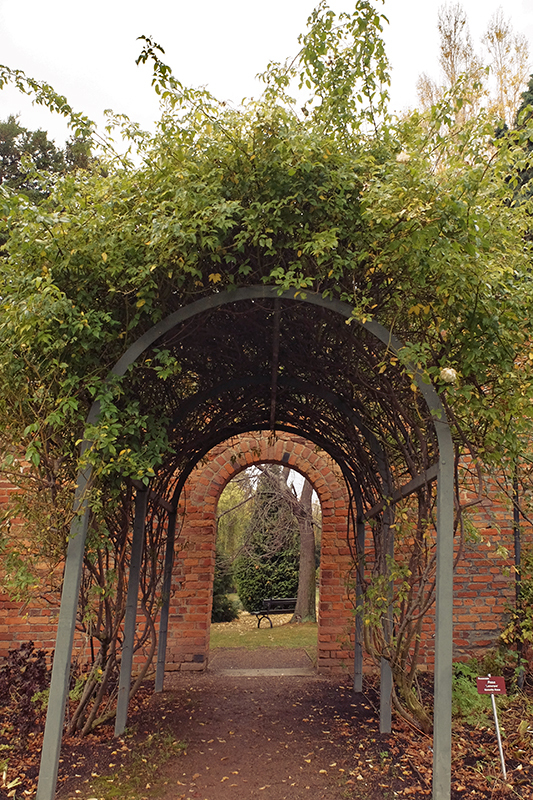 The entranceway to the conservatory is lined with beautifully kept flower beds. 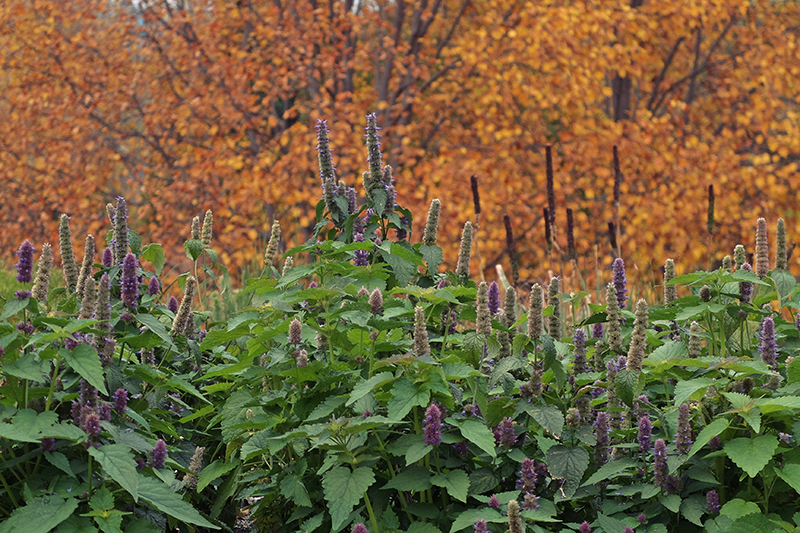 The orange glow of autumnal foliage contrasts nicely with the greener plants of the gardens. 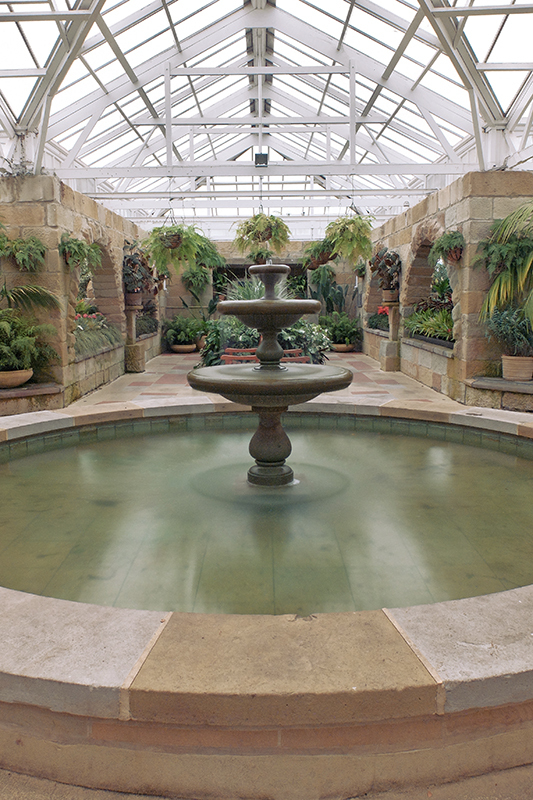 The interior of the conservatory is like stepping into a Roman bathhouse or exotic Spanish farmhouse. Not what you’d expect to see this far south of the Equator. 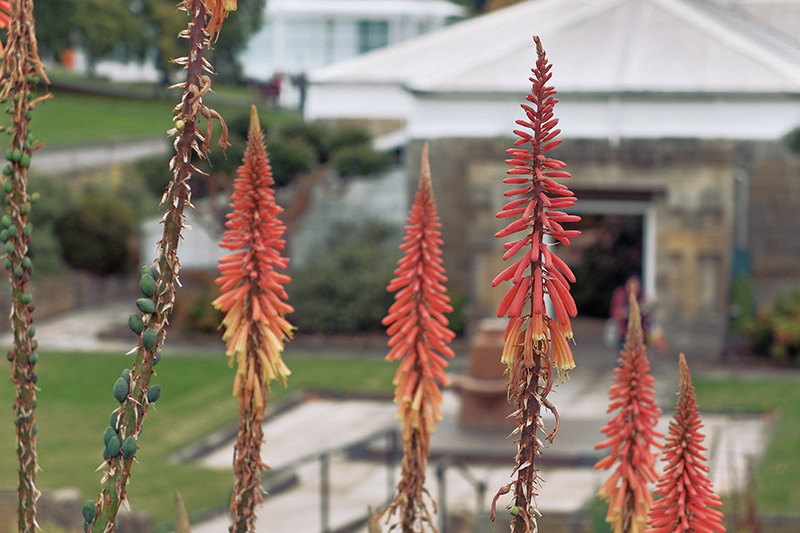 Some wonderfully colourful flowers are on display within the conservatory. My mum will kill me for not knowing this one as it’s one of her favourites. 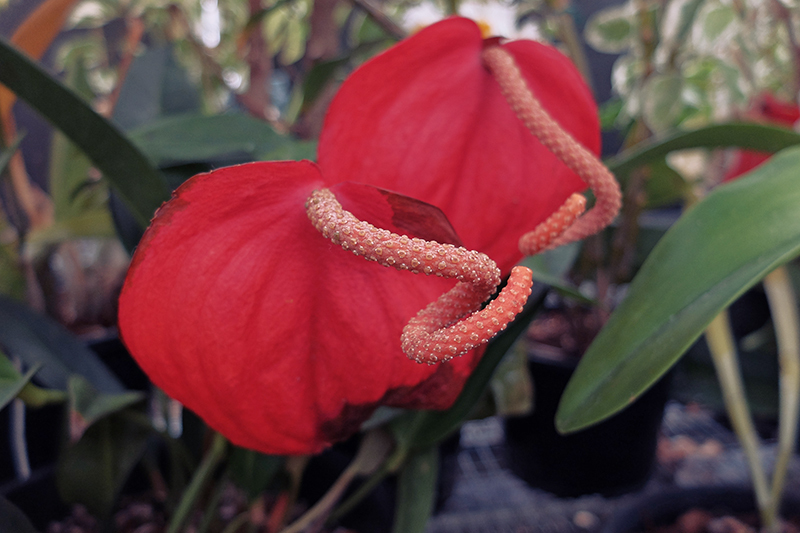 A quick Google reveals it’s an Anthurium of some sort. Again, no idea. Botanists worldwide I apologise. 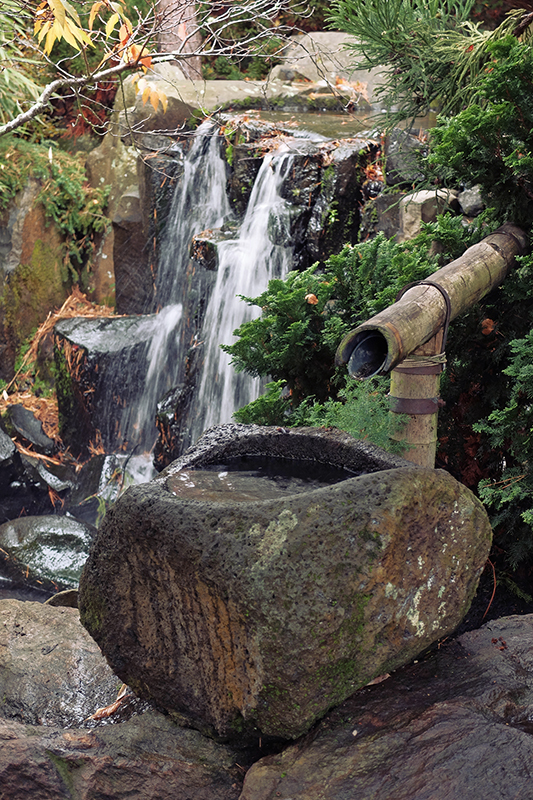 The fountain at the centre of the conservatory is often lined with large pots filled with colourful flowers. 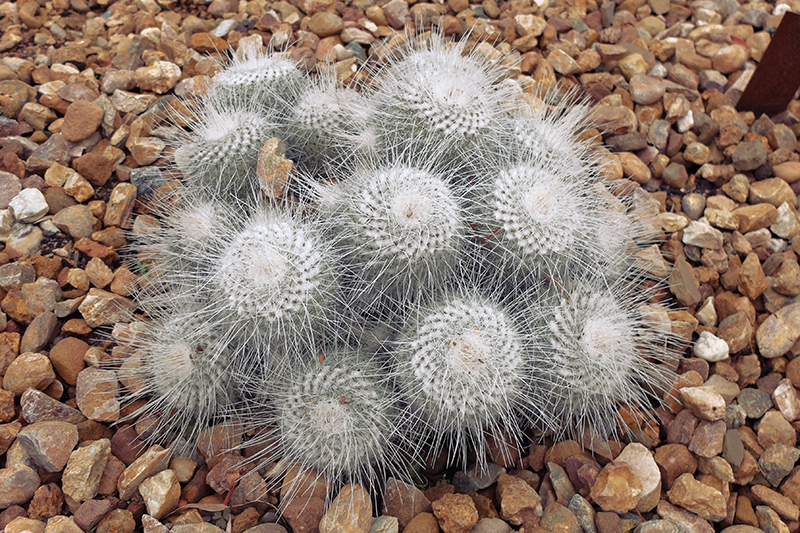 There’s also more hardier species on display in a small rock garden. 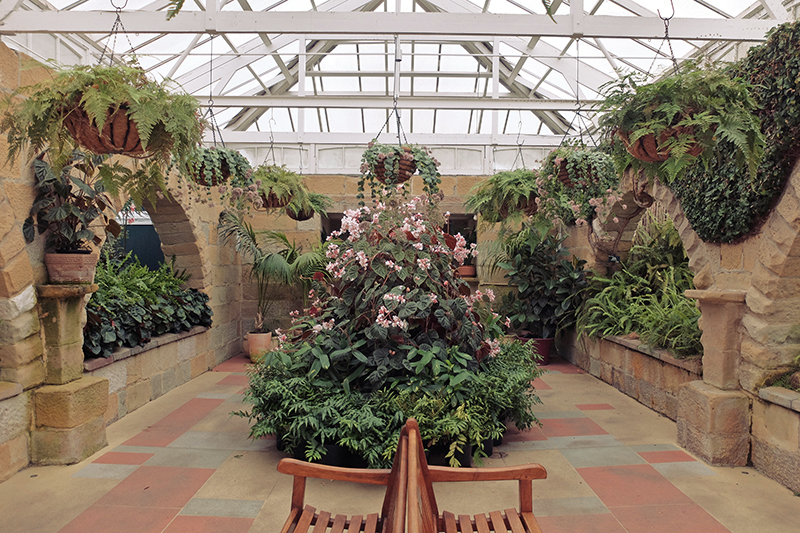 The conservatory is seen beyond another splash of colour. 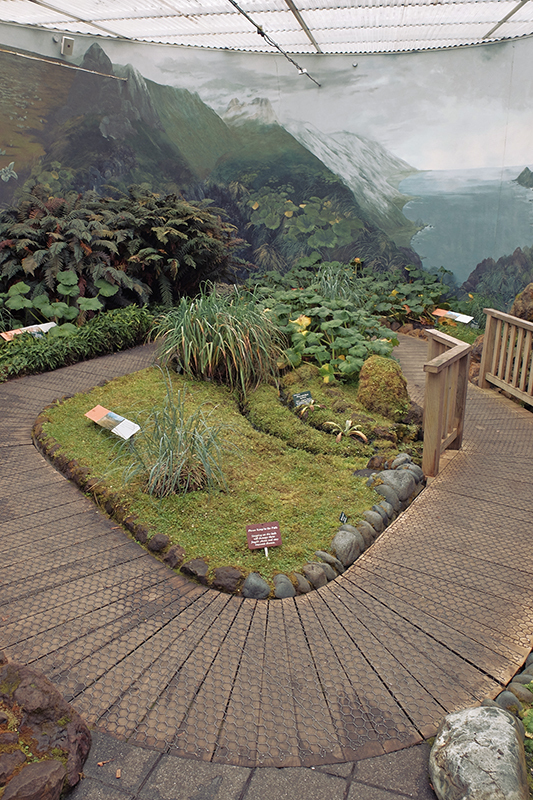 Inside the Subantarctic Plant House with it’s fragile displays inside a nicely decorated room complete with the sounds of the region’s fauna. 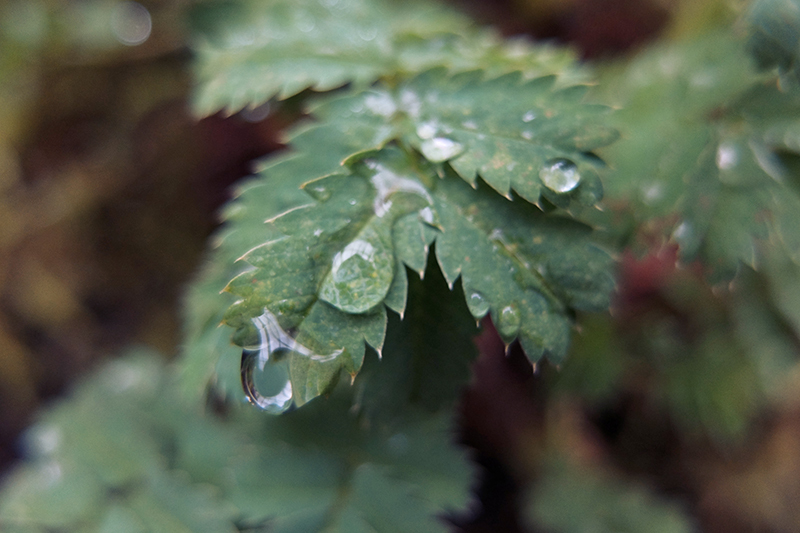 Droplets of water hang from a plant inside the Subantarctic Plant House. 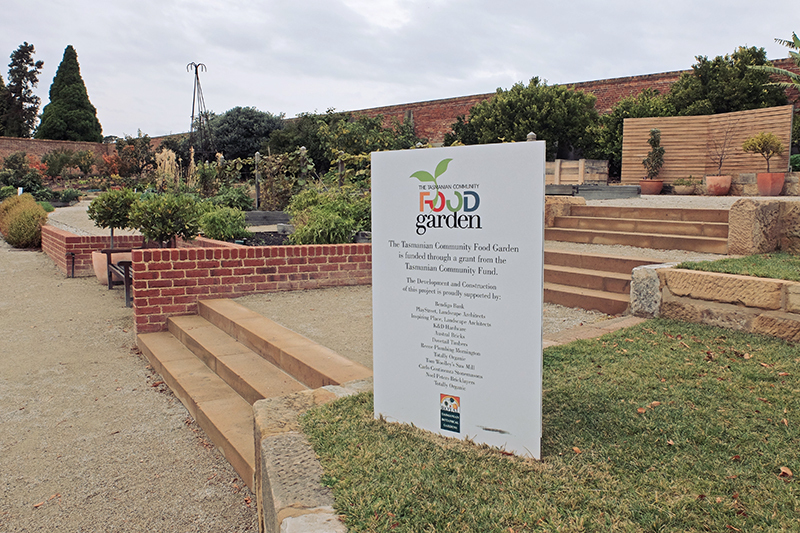 The Food Garden which is now a common sight in Botanic Gardens all over the world these days helps to inspire people to grow their own food at home. 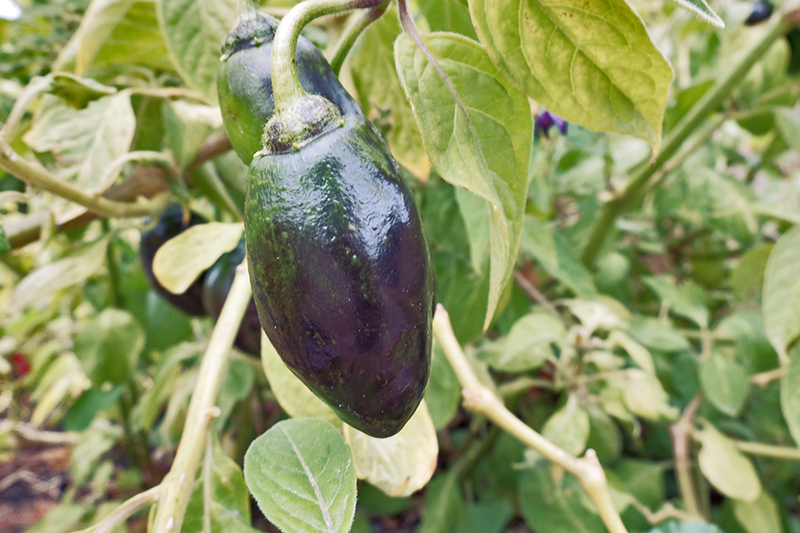 A tasty pepper in the Food Garden. 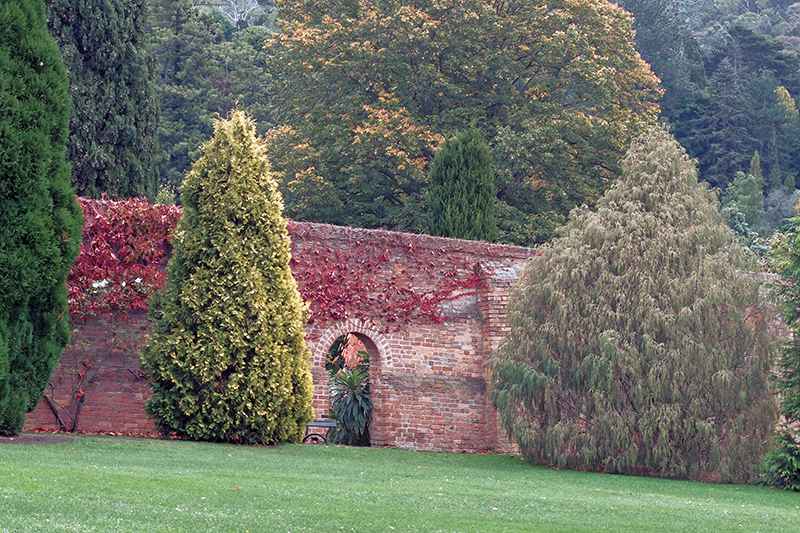 Autumnal hues abound throughout the garden’s tree covered open areas. 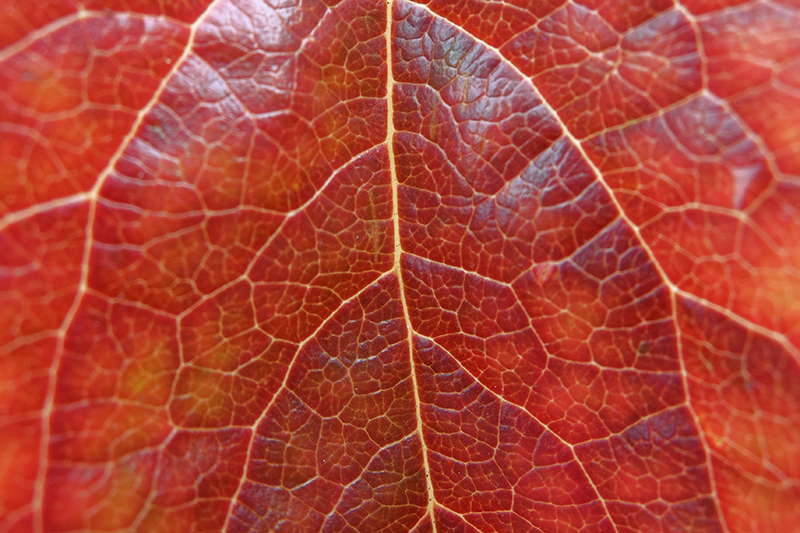 The intense orange of a leaf in decay. 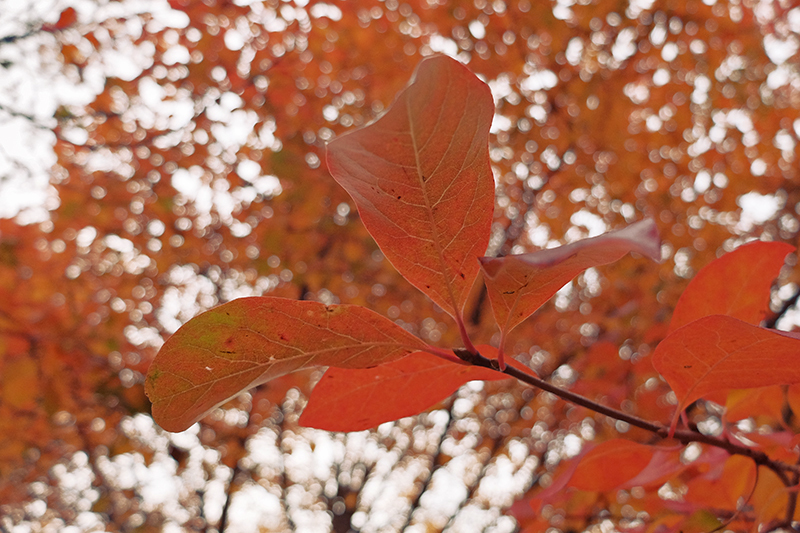 Strange that leaves are their prettiest when they’re on the way out. 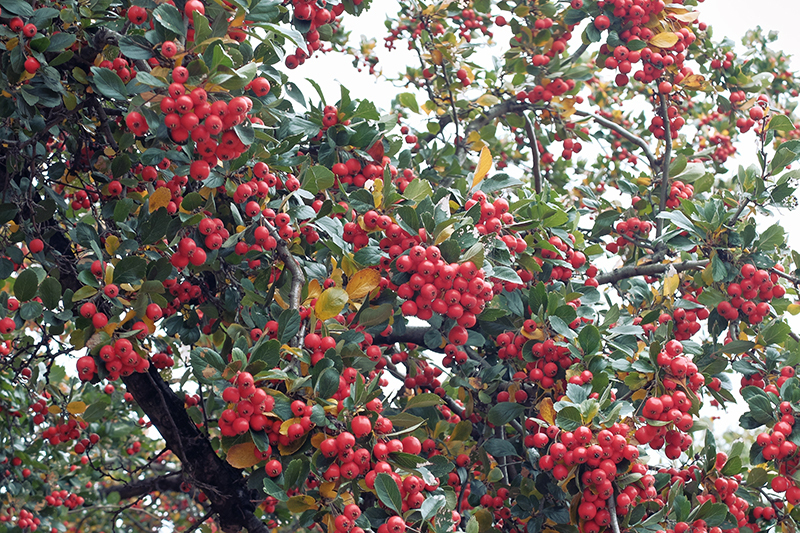 This tree filled with millions of berries was popular with the local birds who hopped from branch to branch enjoying the feast. The Eardley-Wilmot Wall which legend states was built to keep out a plague of grasshoppers runs from North to South and contains numerous doorways leading to new discoveries beyond. 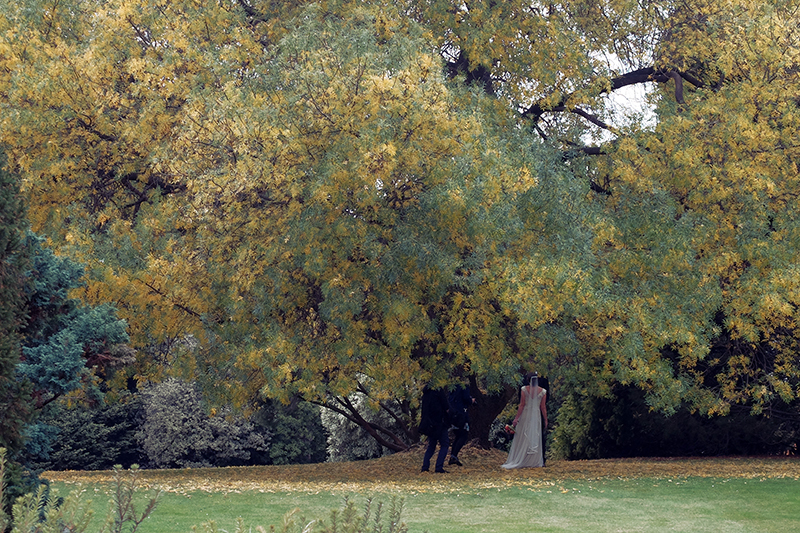 A happy couple celebrated their wedding day in the grounds of the gardens. 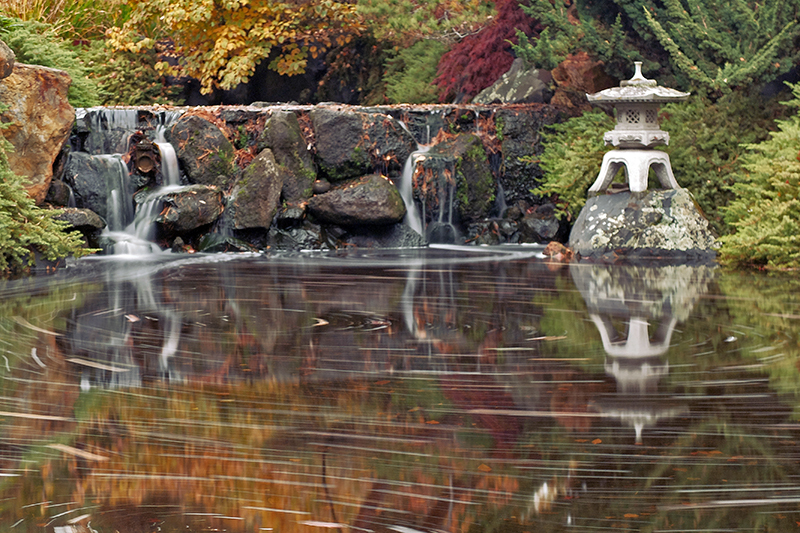 An ornate water feature………….in front of an……umm…….even more ornate water feature. 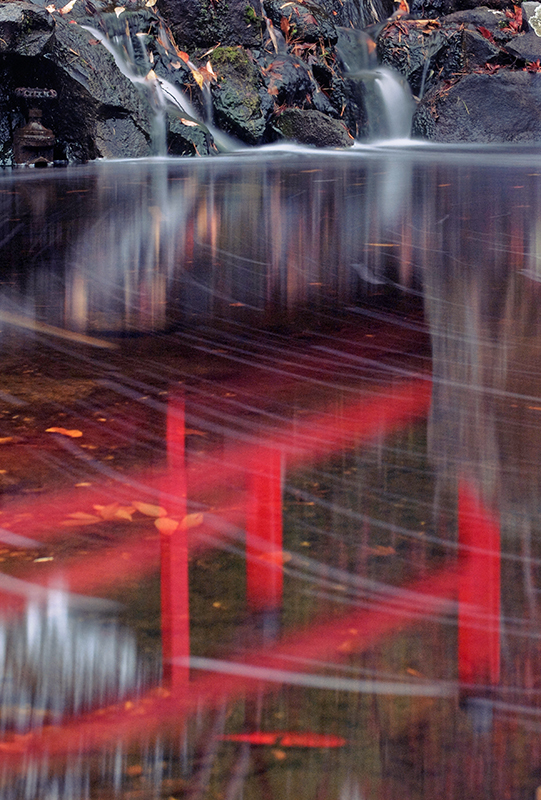 Magical, the bubbles coming off the waterfall flow away beautifully when you drag the shutter out a bit. 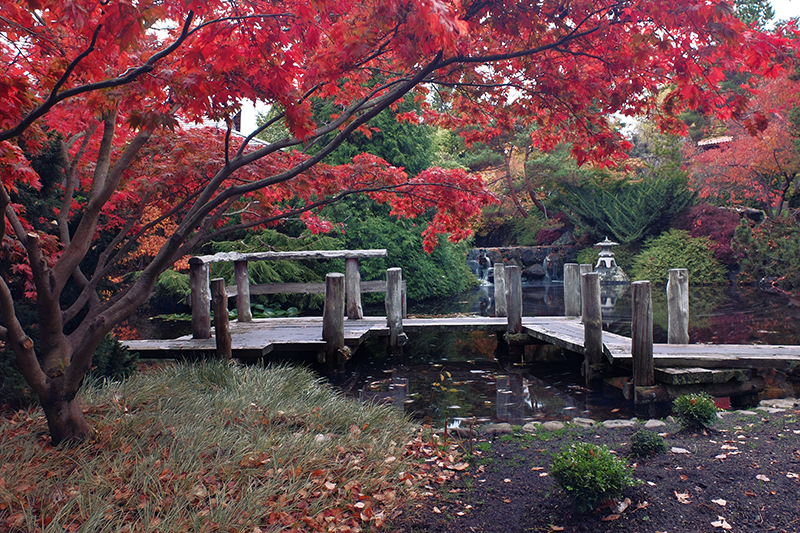 That walkway, the overhanging maple, the small lilly-pad filled pond…..ooof garden nirvana for me. So simple and yet so elegant and majestic. I canae take it captain, it’s just too awesome! Aaaaand relax, breathe deep and be at peace. 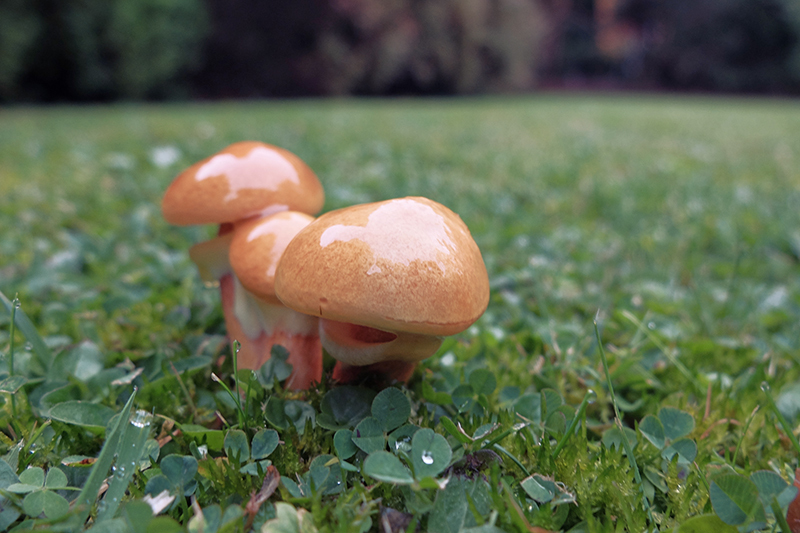 These little chaps had the run of the place and happily munched on the grass. 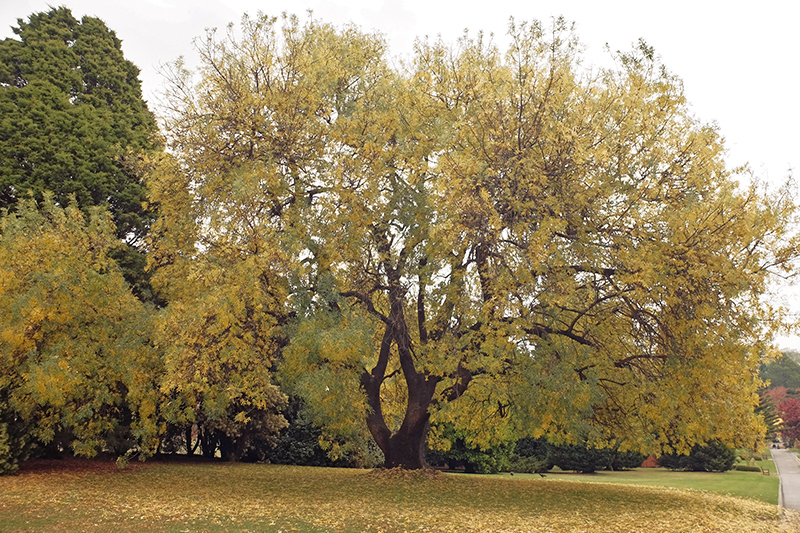 A mighty tree slowly losing its leaf cover turns the grass below into a carpet of yellow. Another vast tree decorates the ground below. You could happily sit here all day reading a book in the shadow of the wall. Where does this doorway lead. 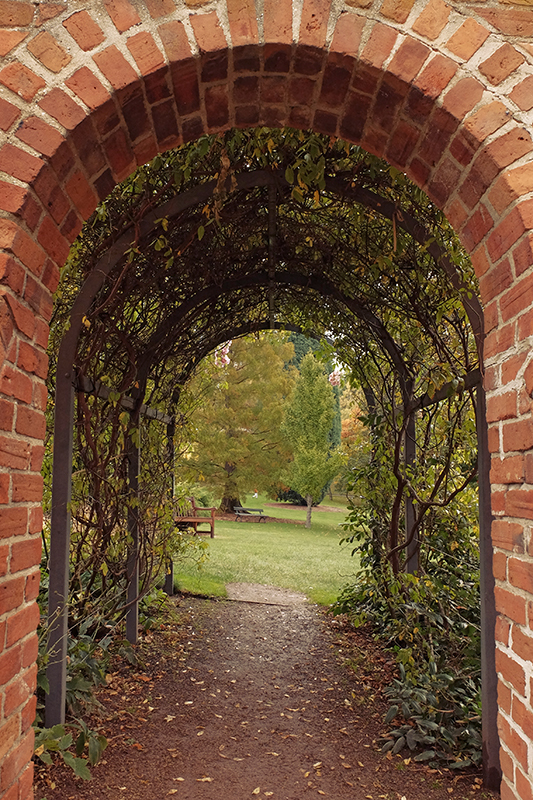 Loved these little passageways along the wall. What’s behind door number 4? 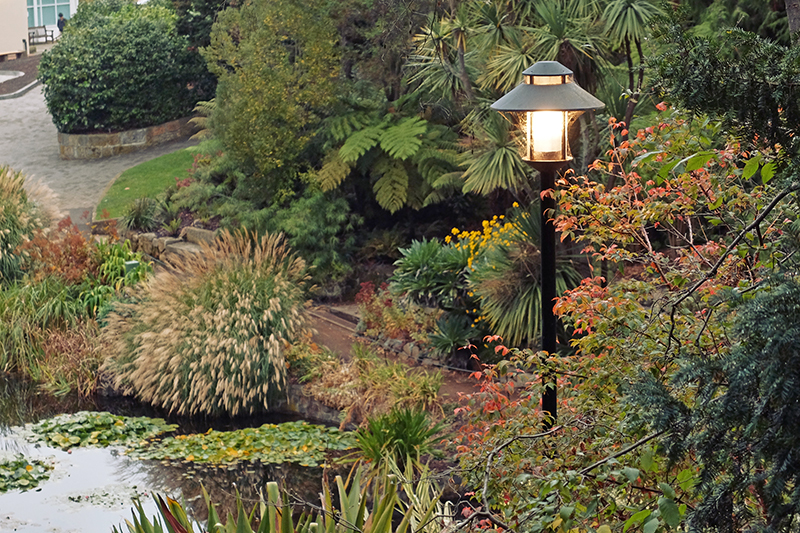 Why it’s another corner of magnificent gardens of course! A bee grabs a hold of its target. 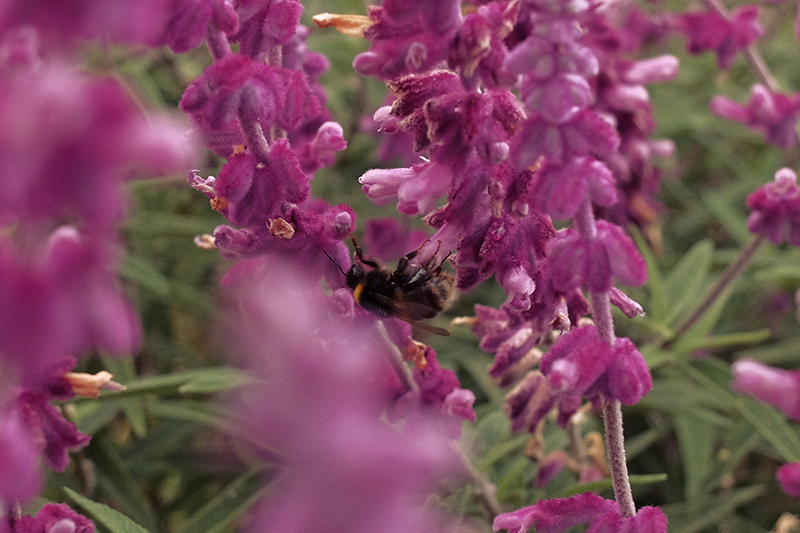 Bees are an essential part of our ecosystem so be nice to them. 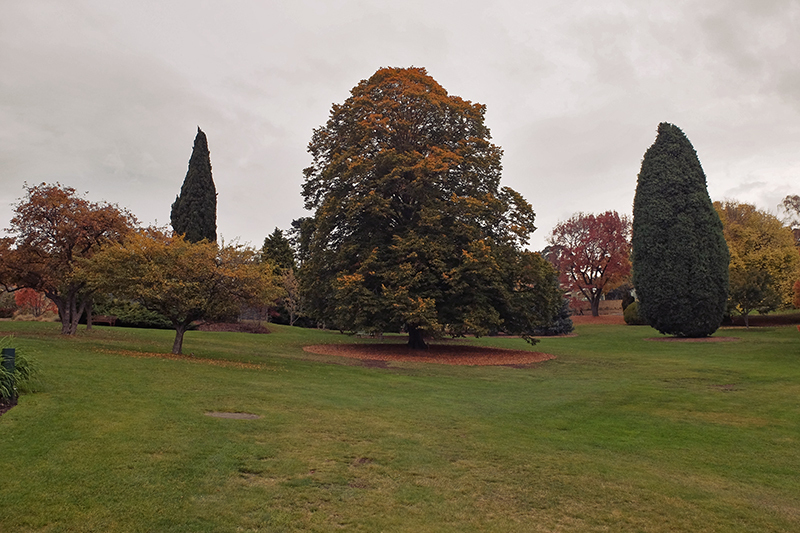 The open grounds of the gardens are just as impressive as the more enclosed exhibits with huge trees towering over the well kept lawns below. 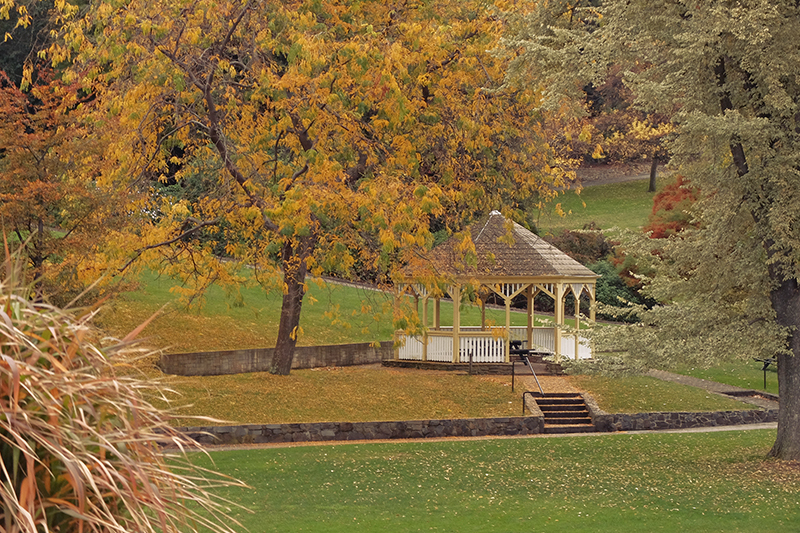 A Gazebo promises a place of rest and shade for those needing it on a sunny day. The beautiful colours of the I suppose you’d call it a typical household garden display. 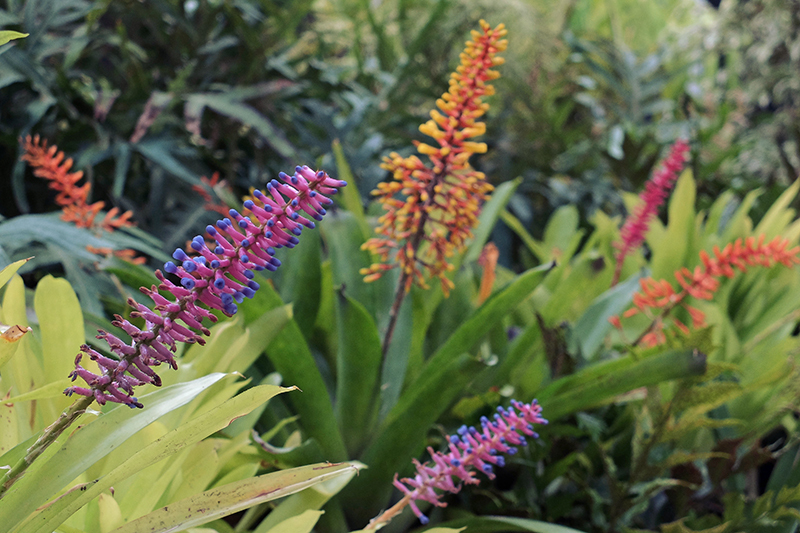 A multitude of colourful flowers and plants that would look at home in any garden. 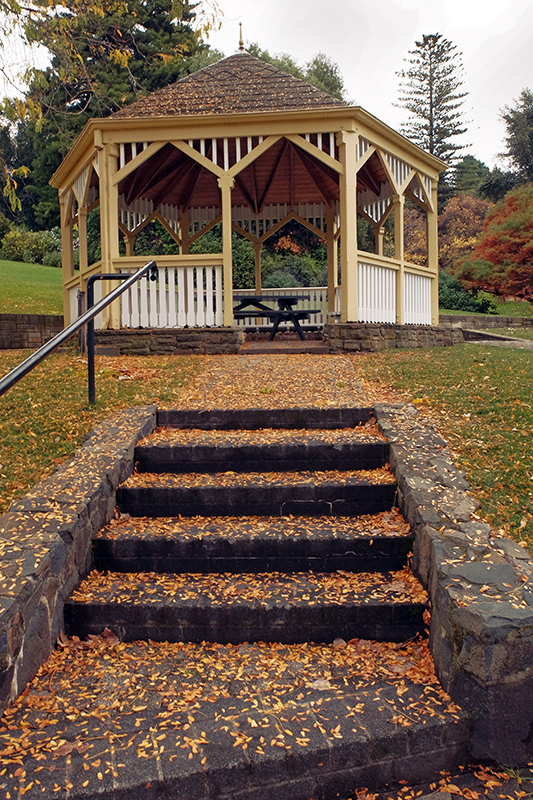 The leaf strewn steps in front of the gazebo. 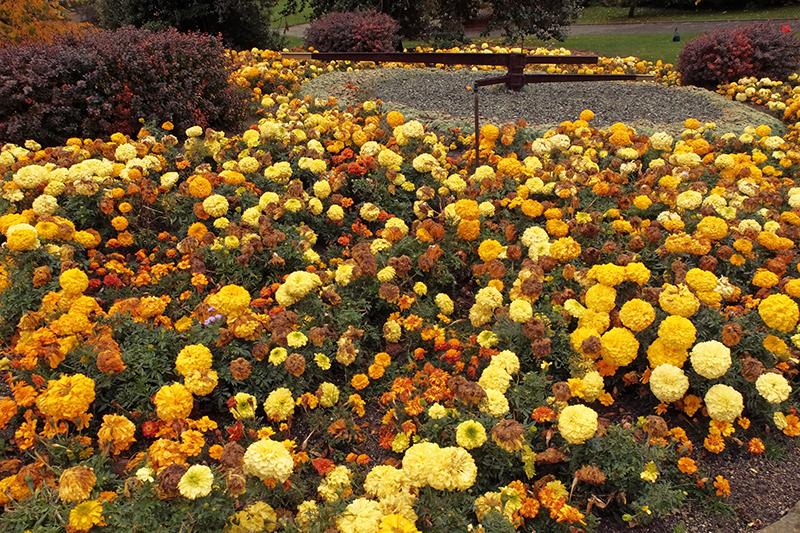 The impressive floral clock within the gardens. No there aren’t magical time telling flowers (although that would be handy), there’s a mechanical clock feature in the middle. 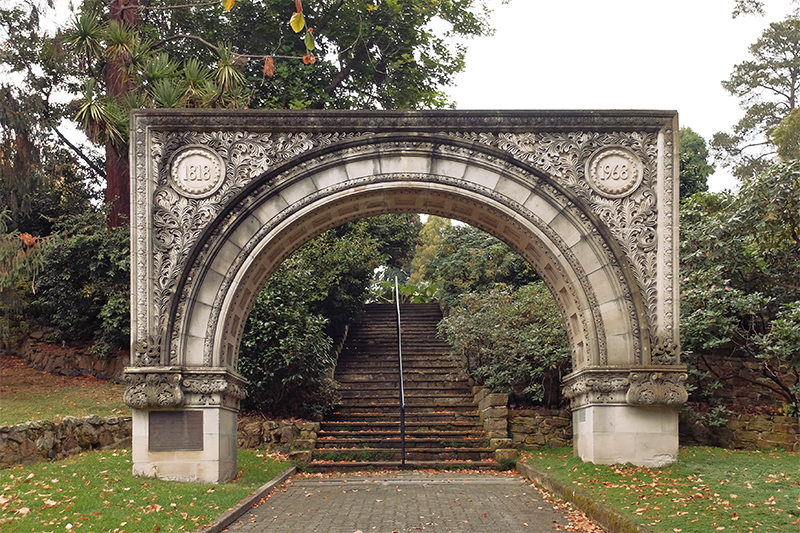 The Anniversary Arch is a rather ornate structure to come across after the more organic scenery surrounding it. Don’t miss out on walking up the stairs beyond, it’s very worth the climb! 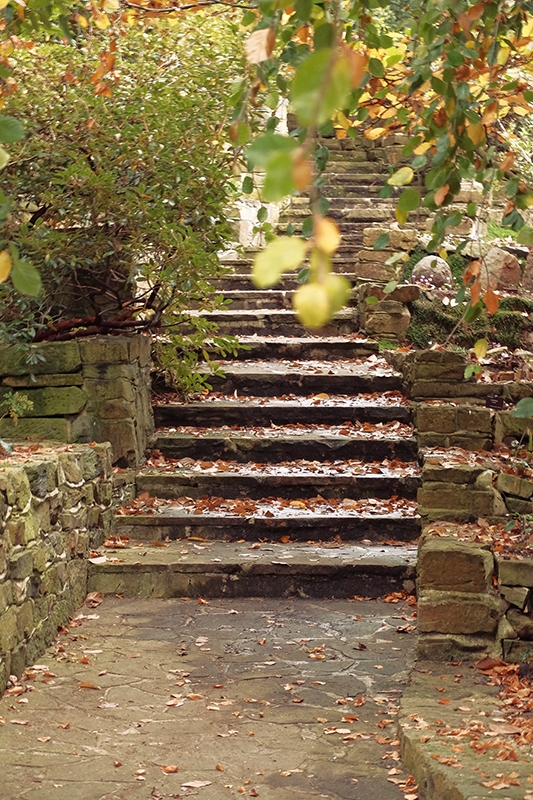 The gardens are full of pathways that just beg to be explored. 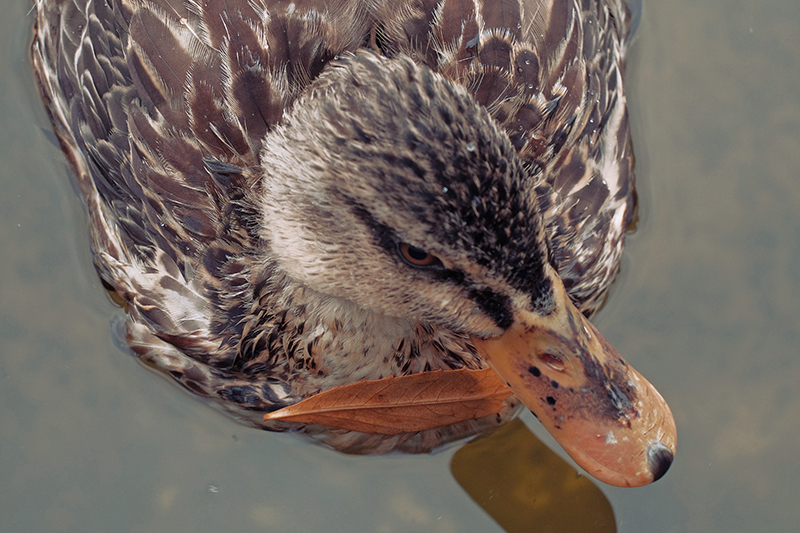 It really is a lovely experience to just wander around and see what you come across. 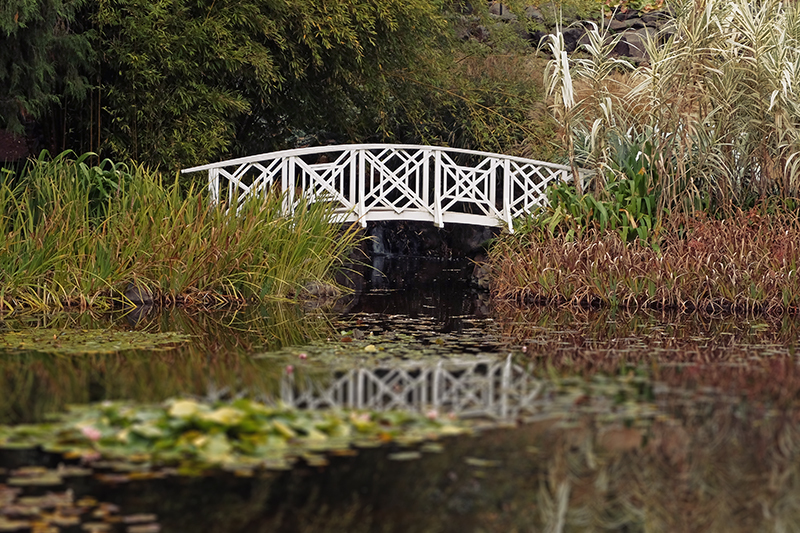 A view that Claude Monet would be proud of. 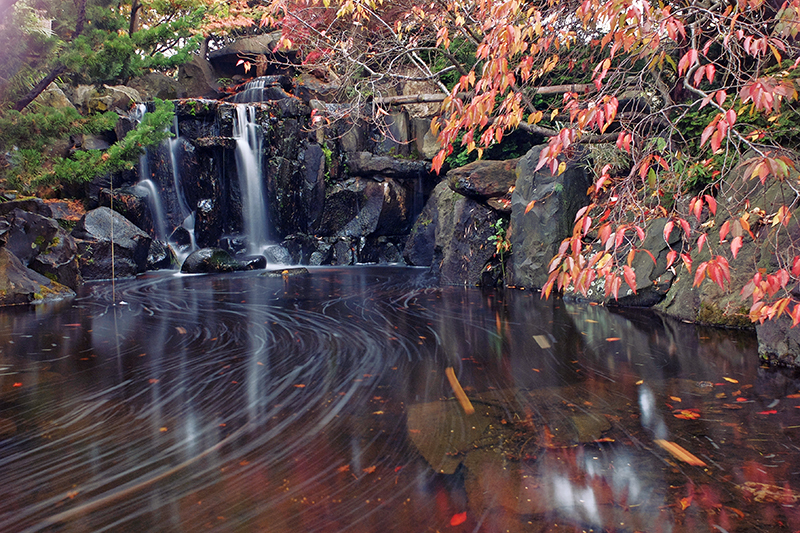 The tranquil Lily Pond is a magnificent sight. 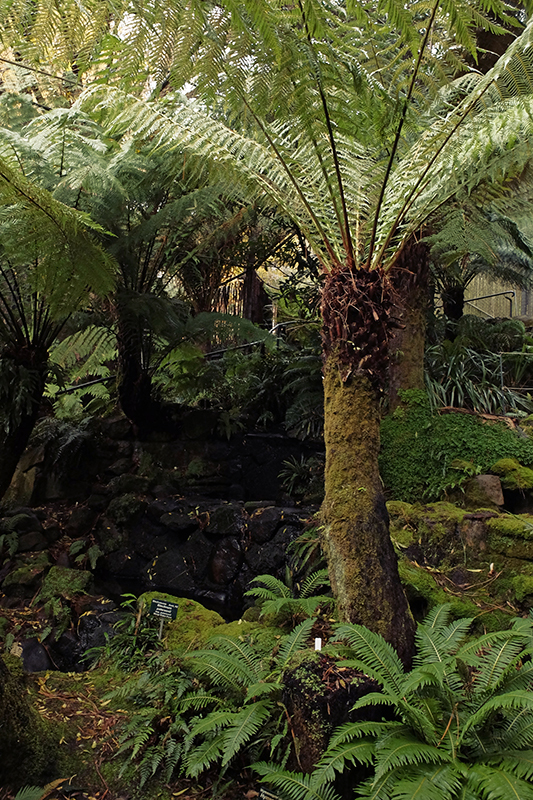 The Fernery is a great place to see some ferns if the hike up the side of Mount Wellington is a bit too much for some. Half expecting a Velociraptor or something to pop out. 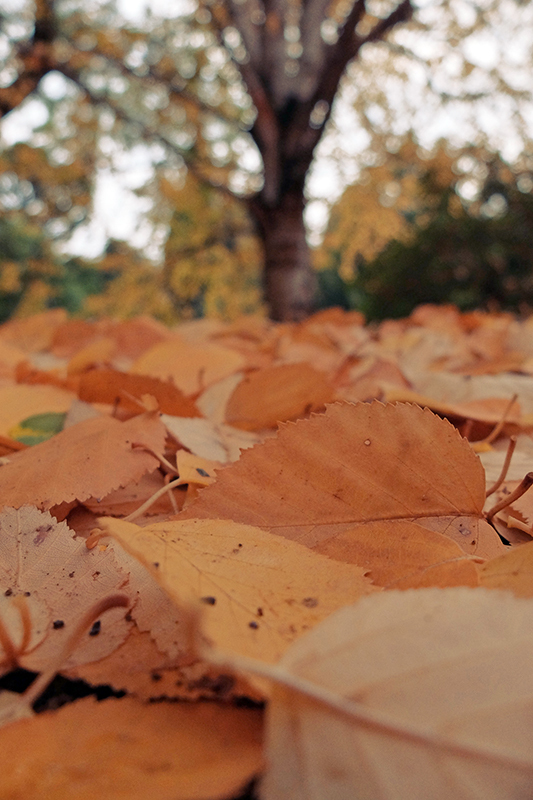 The leafy carpet found below many of the trees this time of year. 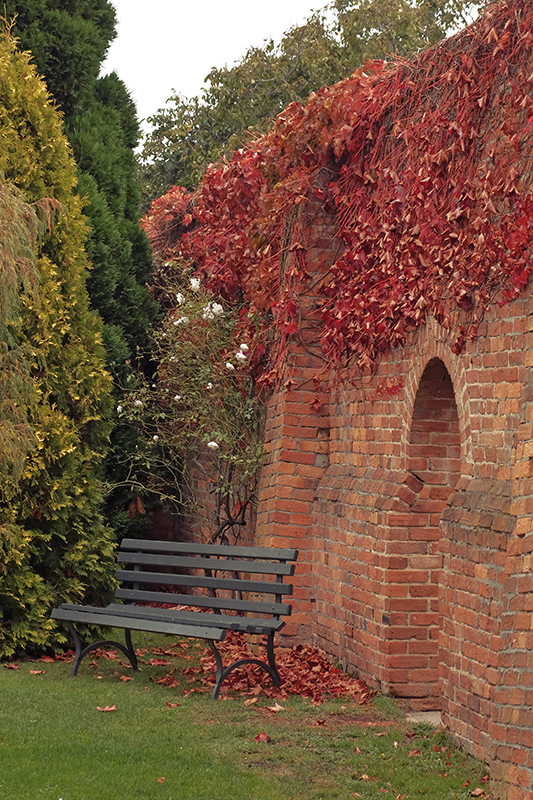 Picture postcard scenes can be found all over the gardens. 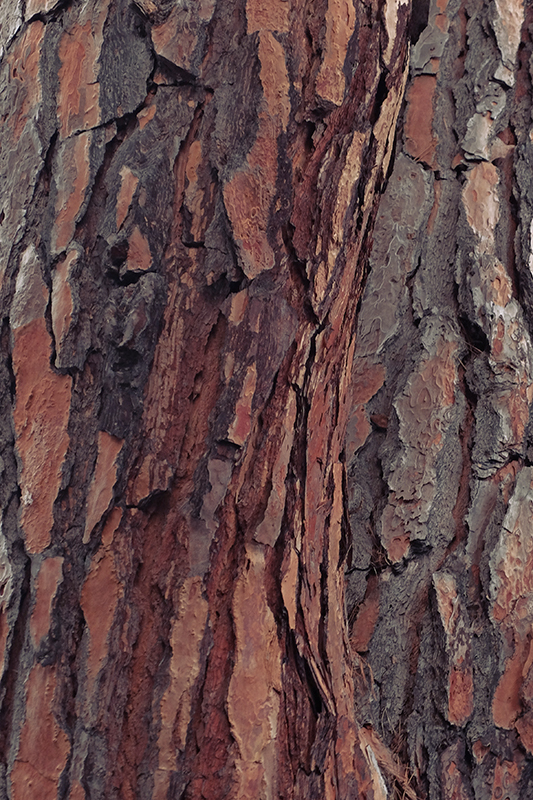 I think you’re barking up the wrong tree, you better turn over a new leaf and start branching out or else….ok I’ll stop now. 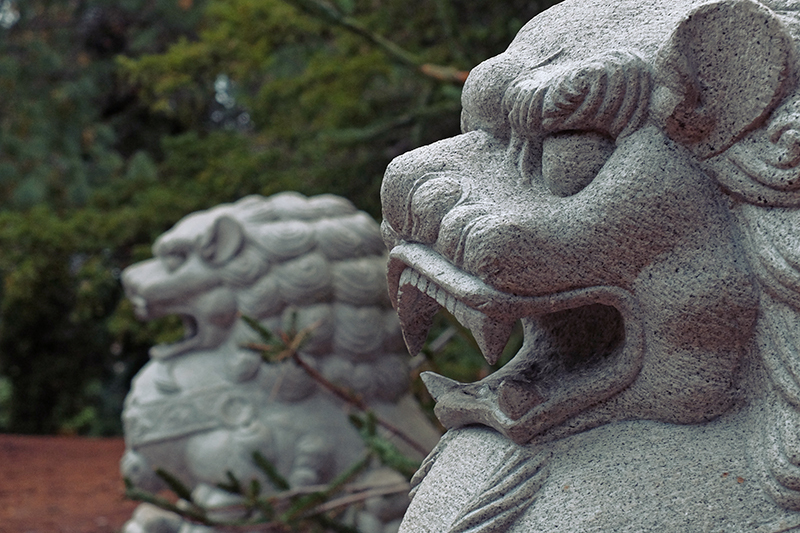 These chaps look like they’d feel more at home outside one of those fancy upmarket Chinese restaurants but they still had a nice bit of exotic character to the gardens which are of course designed to exhibit plants from all over the world. The entrance gate certainly passes muster. 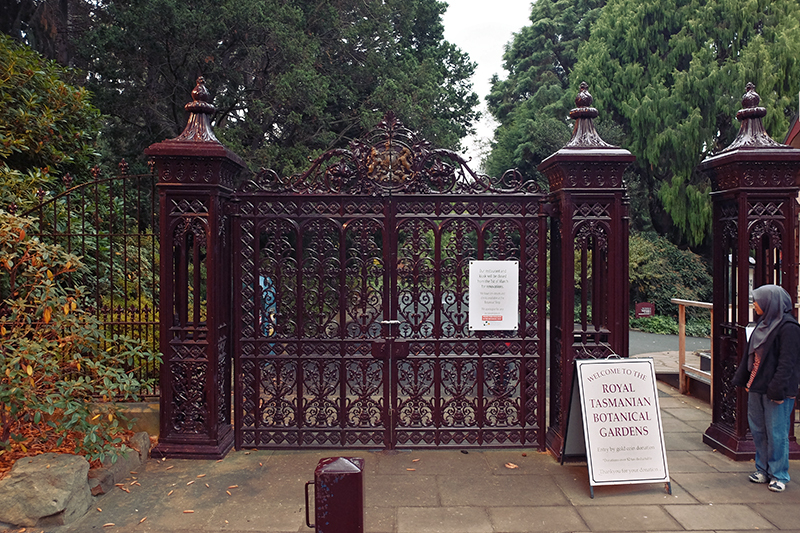 Most Botanic Gardens will have similar gates due to their popularity in the late 19th and early 20th centuries when such ornate gates were commonplace in large parks and gardens.